Every day, when I go to pick up my daughter from the bus stop, a general discussion starts among the mothers. It generally revolves around their ward’s school performance and most importantly their teachers. Often the mothers accuse the teachers for their children’s unsatisfactory academic performance. “What happened in school today? What did Ma’am say? Did she scold you even today?” Based on the child’s remarks, they form a judgement about the teachers. 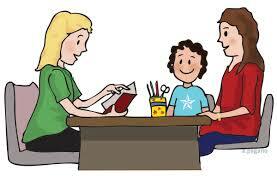 If the child says, “Ma’am appreciated me in front of the whole class”, the teacher is termed as “good”. Sometimes children accuse teachers for being unfair and biased. “My teacher always appreciates Jasmine, she never gives me stars.” Parents immediately label the teacher as “ineffective” or “partial”. This way we constantly judge the teachers. Similarly, the teachers also judge the parents based on the child’s uniform, behavior, homework, projects, handwriting, etc. If the child’s handwriting is good, notebooks are neat and clean, the teacher thinks that the parents are involved in the child’s education. The parents are “good”, if the child’s homework is “good”. If there is some problem with the child, the teacher often blames the parents as being irresponsible and negligent. They would immediately call the parents to rectify it. The parents also accuse the teacher as being inefficient if their child’s results are unsatisfactory. They blame the teachers for their child’s poor grades and bad behavior. They want the teacher to be changed. This kind of mistrust and lack of respect for each other adversely affects the child. At home front also, a similar scenario exists. Whenever the child gets poor grades or misbehaves, parents blame each other and holds the other responsible for it. Whenever the parents and the teacher blame each other for the child’s misconduct, the one who suffers the most is the child. The child begins to disrespect and disobey the teachers and the parents. Parents and teachers share the same goal i.e. the overall development of the child. When they share the same goal, they should form a team and work together to achieve it. Instead of judging and blaming each other, they should trust and respect each other. This way the child will also learn to respect and obey them. The child will also learn to trust them and stop complaining about them. Teachers and parents must have a positive and regular communication. In this way, they can establish a healthy relationship and diminish blaming. 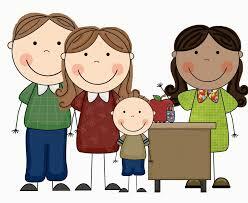 Teachers can communicate with the parents about the strengths and weaknesses of the child. Similarly, the parents can also communicate with the teachers about the problems which might be affecting the child’s performance and behavior in school. Similarly, the parents should trust and help each other in the upbringing of the child at home. In this way, they can have a coordination which can do wonders for the betterment of the child. Would you like to read more about teachers? Read this wonderful blog by Charu Sareen Gujjal here. People are just judgemental period. But one doesnt realise how much we are influencing the little ones who are watching us and giving them preset notions to follow in their lives. Feels great to hear similar views . But this blame game affects the child in many ways. Parents and teachers should always work as a team and i got to know about its importance during the orientation of my daughter’s school. I truly support this. That’s a great point that you have taken in consideration. A lot of change would come in education system and the way a child learns if both teachers and parents be on the same page and work as a team. I agree to this Vidhi. Many times we as parents listen to our child first and get a wrong impression of the teacher. But it can be the other way round too. And if we respect the teacher our children would also learn the same. Super ! We really need to work in collaboration to better the entire education system.